The Medion Life S5004 (MD99707) is equipped with a 5-inch large HD touch screen and offers an extensive and complete functionality in its class. This doesn’t only include UMTS with HSDPA and HSUPA and Download / upload speeds of up to 21 and 5.76 Mbit/s, but also LTE Cat 4 with up to 150/50 Mbit/s. If the network is ready, this allows DSL transmission speed on the move. Thanks to an 8-core processor, the computing power is able to keep up with the transmission speed. With 16 Gigabyte Flash storage and a microSD extension, there is enough space available for music, images and videos. 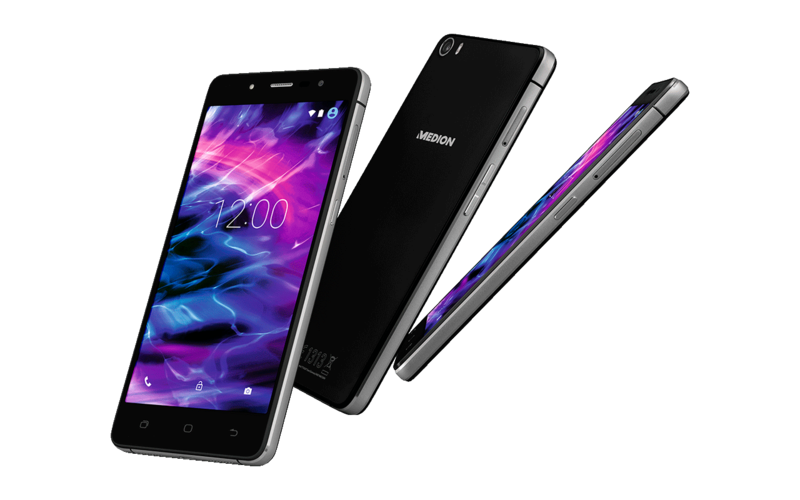 In addition, the Medion S5004 offers a Dual-SIM function for the parallel use of two mobile contracts.